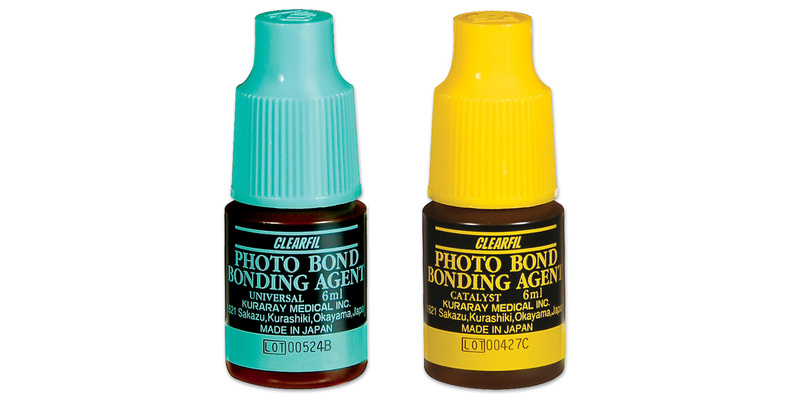 Dual-cure bonding agent that adheres to enamel, dentin, metal and amalgam. Also bonds to porcelain when combined with Clearfil Porcelain Bond Activator. Contains: 6ml bottle universal, 6ml bottle catalyst, 6ml bottle K-Etchant Gel, mixing dish, contra-angle brush, sponge pledgets. Contains: 1 x 6ml bottle universal, 1 x 6ml bottle catalyst.